All photojournalist Ian McCallister wants is a woman to love him. Not just any woman, though, his heart wants Kayla Black. He fell for the dark-haired, blue-eyed beauty the moment she smiled...and introduced her children. Kayla Black is living her very own Happily-Ever-After. She has three beautiful children and a man she adores. Until the day her hero of a husband straps on his badge and is struck down by a drug dealer's bullet. Her perfect world shattered, Kayla has no interest in moving on and is only attempting it for her children. She doesn't want help, doesn't need it. And she certainly doesn't need Ian. Or does she? 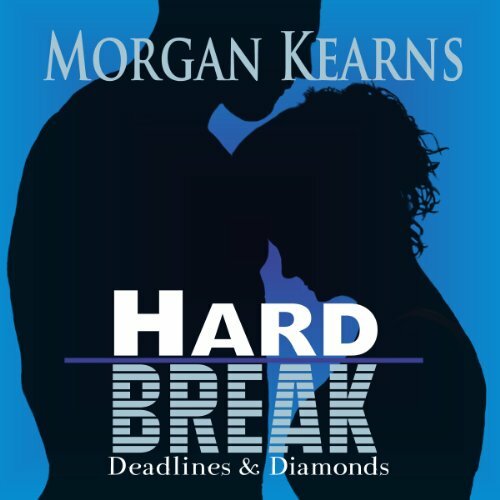 Where does Hard Break rank among all the audiobooks you’ve listened to so far? Hard Break was the first audiobook I've listened to in over 25 years. I used to listen to them all the time growing up. This was really well narrated, Tim Campbell did all the character's voices very well. It had some heartbreaking moments which made it hard to drive my car with tears streaming down my face. (listening in the car on the long drive to town is the best. Except when crying) But the resolution brings tears of joy with it.